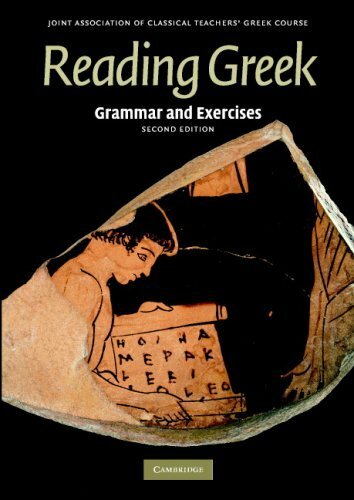 In this course, you will learn about the language and culture of ancient Greece. And have fun doing it! •	Enjoy and have fun while doing all of that! Disruptive or disrespectful behavior (including being late, surfing the net during class, text-messaging during class, being rude to fellow students, etc.) will lower participation and attendance grades. Students will take a 5-10 minute quizzes on vocabulary and grammar twice a week. Students will take a 5-10 minute quizzes on vocabulary and grammar twice a week. Graded quizzes will be returned during the following class session. The professor will collect the quizzes after students have the opportunity to review them. Students may always request to review them again later in the professor's office. Students will take three exams in the course. Dates of exams will be announced in advance. They are not on the syllabus, because the pace of our progress through the course material will determine their timing. Exams will be reviewed in class after they are graded; the professor will collect and retain the exams after students review them. Students may always request to review them again later in the professor's office. Note: copies of student work may be retained to assess how the learning objectives of the course are being met. Class participation will be graded according to the following criteria. More than three absences, or disruptive/disrespectful behavior will result in lower grades. B: The student consistently completes homework, and the student’s contributions demonstrate consistent preparation of course materials. Student’s participation demonstrates competence in the material and understanding of the language expected at this level, even if pronunciation, translations, answers to in-class assignments, etc., are not always correct. C: Student has usually prepared for class. D: Student is at times unprepared for class and shows minimal competency in the language. F: Often attends class without completing homework and preparing for class. Exams will receive percentage grades with corresponding letter grades. Quizzes will receive a cumulative percentage grade (with corresponding letter grade) for the semester; the lowest three grades (including zeros) will be dropped before averaging. A student who does not take all three exams cannot pass the course. Make-up exams will be provided only in emergencies (e.g., death in the immediate family, severe illness, etc.) or with advance notice for unavoidable conflicts with another required university commitment (such as an athletic competition). With few exceptions, quizzes cannot be made up. Students with an emergency or an extended illness potentially leading to multiple excused absences should contact the professor to make alternative arrangements for class work as soon as possible. Athletes, debaters, etc., should provide me with a copy of their schedule of conflicts at the beginning of the semester and discuss alternate arrangements for class work. Students are expected to understand and follow the University’s Honor Code at http://www.pacific.edu/Campus-Life/Safety-and-Conduct/Student-Conduct/Tiger-Lore-Student-Handbook-/Academic-Honesty-Policy.html. I encourage any student with questions about academic integrity, plagiarism, or the Honor Code to ask me for clarifications. For this course, academic dishonesty includes any violations covered by the Honor Code (including but not limited to cheating, plagiarism, and lying to receive a higher grade), as well as submitting one’s own prior work for a new assignment—prior work from this course or another course, and prior work in whole or in part. (Specifically assigned revisions to paper drafts are exempt.) We will discuss plagiarism and citations in class. The Oxford Classical Dictionary, REFERENCE DE5.O9 1996. 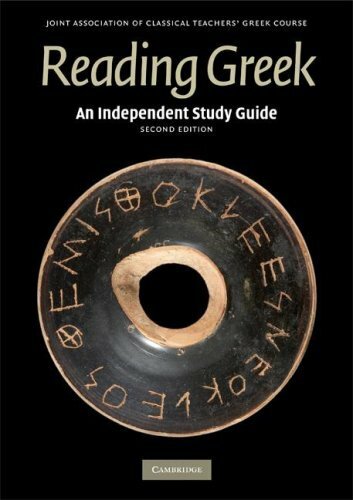 One of the premier reference sources for quick information about texts, authors, terms, concepts, historical events, and geography from the ancient classical world. Guide to the Ancient World, DE25 .G72 1986, a reference guide to place names in the classical world. Any student with a physical disability or with a learning disability needing accommodations should register with the Office of Services for Students with Disabilities, in Bannister Hall. The office will assist with any needed accommodations. Please see me at the beginning of the semester to discuss needs for this course. The OSSD website is http://www.pacific.edu/Campus-Life/Student-Services/Disabilities-and-Testing-services.html.